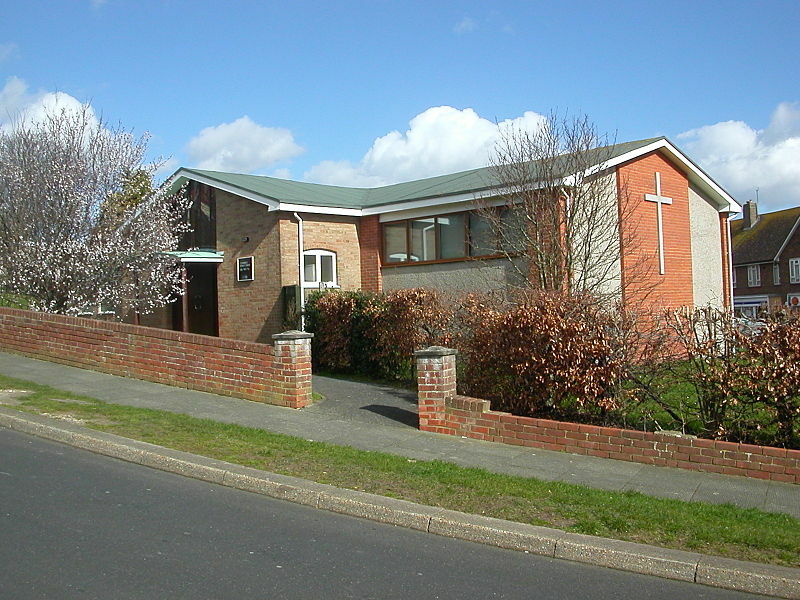 This was built in 1958-59 by L M Gotch and Partners (TCA 3 p111) (actually J Wells-Thorpe by that date). Within ten years of building, after Holy Cross, Woodingdean was rebuilt, it was taken over by the Roman Catholics and re-dedicated to St Patrick (Elleray (2004) p6). It remains in use in much altered and extended form and a record of its original appearance has not been found.